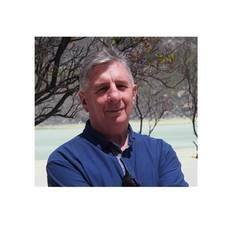 In the 1980s and early 1990’s, Paul gained valuable mainstream planning experience in Australia. This included working in the Strategic Planning Department of the City of Sydney Council, and then the Planning and Engineering Division of the Albury Wodonga Development Corporation, a Whitlam Labor government ‘new town’ experiment modeled on Milton Keynes in the UK. At the end of 1992, Paul moved to the Pacific Islands and has spent the last 20 years specialising in urban management and urban development projects in the Pacific Region. This has included working in Papua New Guinea, Kiribati, Samoa, Fiji Islands, Vanuatu, New Caledonia, Marshall Islands, as well as Philippines, China, Israel and Thailand. The latter includes living over 10 years full time in the small low lying atoll nation of Kiribati as its ‘first urban development planner’. In January, 2011, Paul joined the Urban and Regional Planning Program, Faculty of Architecture, Design and Planning, at the University of Sydney. In 2013, Paul was appointed Program Director of the Urban and Regional Planning Program. Paul has an ongoing research agreement with the Office of Urbanisation in PNG to support urban customary land development, and implementation of a national urbanisation policy. Since 2013, Paul has established strong research connections with the Department of City and Regional Planning, School of Architecture, Planning and Policy Development, Institut Teknologi Bandung (ITB) University, Indonesia. One outcome of this collaboration has been an annual studio and exhibitions held in 2015 and 2016 with ITB and Sydney University planning and design students centred on understanding informal urbanism in the kampung of Tamansari, Bandung. A major outcome of the 2015 studio was the book titled 'Unpacking Informal urbanism: Planning and Design Education in Practice' published by Penerbit ITB Press, 2016. Paul has written extensively on Pacific urbanisation, including 'The State of Pacific Towns and Cities' published by the Asian Development Bank (ADB), 2012. Forthcoming for publication in 2016 is a new book titled 'Explaining Urban Villages: Better Understanding Urbanization in Contemporary Pacific Towns and Cities'. In 2014 and 2015, Paul was a member of the Expert Advisory Group for the joint UNESCAP and UN-Habitat report 'The State of Asian and Pacific Cities 2015'. In 2016, Paul has been a member of the Asia Pacific Expert Advisory Group for the 'Asia Pacific Habitat III Report', which is a key input to the UN Conference on Housing and Sustainable Urban Development (Habitat III) in Quito, October, 2016.